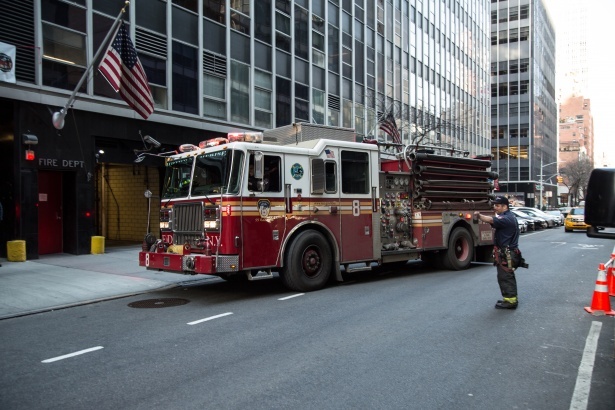 Co-op City, The Bronx, NY (January 7, 2019) – A child has been reported as one of five people who were hospitalized following a fire that broke out in an apartment building on Saturday morning, January 5. The fire started at around 10:30 a.m. on the fifth floor of an apartment building located on Baychester Avenue in the Co-op City section of the Bronx. At least 75 firefighters responded to the blaze as they were accompanied by police and emergency medical crews at the scene. Authorities stated that there were five victims altogether who required transportation to a hospital. The victims have been described as a mother, father, and three children. One of the children who was rescued from the flames was reported to be in critical condition but is expected to survive at this time. The remaining four family members suffered smoke inhalation among other possibly minor injuries. Their conditions are currently unknown. The fire is believed to have started as an accident in the kitchen, however, authorities are actively investigating all the events that led to the incident. First and foremost, we would like to express our sincerest sympathies to all five of the injured victims at this time. We would also like to extend our deepest gratitude to the numerous New York firefighters who risk their lives for the citizens of our community each and every day. Many fires in New York prove to be fatal or critically injurious as they are among one of the most harrowing situations that anybody can encounter. After such a dangerous incident, it is very important for victims to know that you may have the right to be compensated for your injuries. At Hach & Rose, we are here for you 24/7 as we are passionate about assisting those who have been affected by the carelessness of another party or entity. If you have suffered injuries in a New York fire or explosion, please call 212-779-0057 and let us put our experience to work for you today.